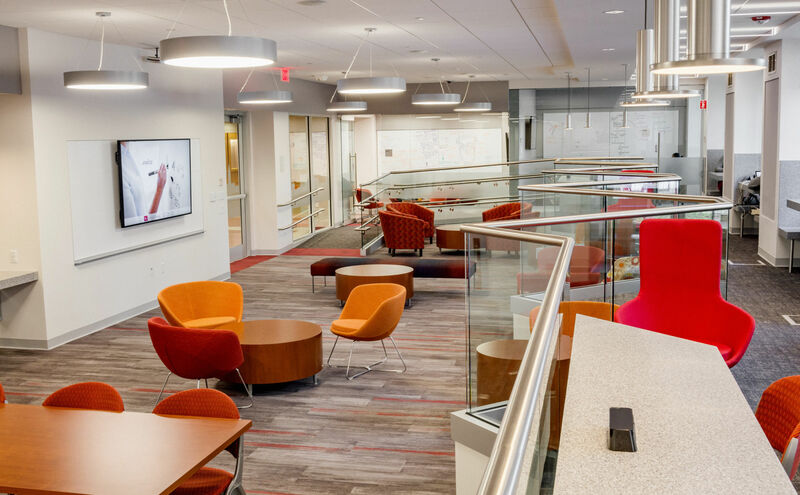 Renovation of three existing office suites combined into one large learning lab for student collaboration. 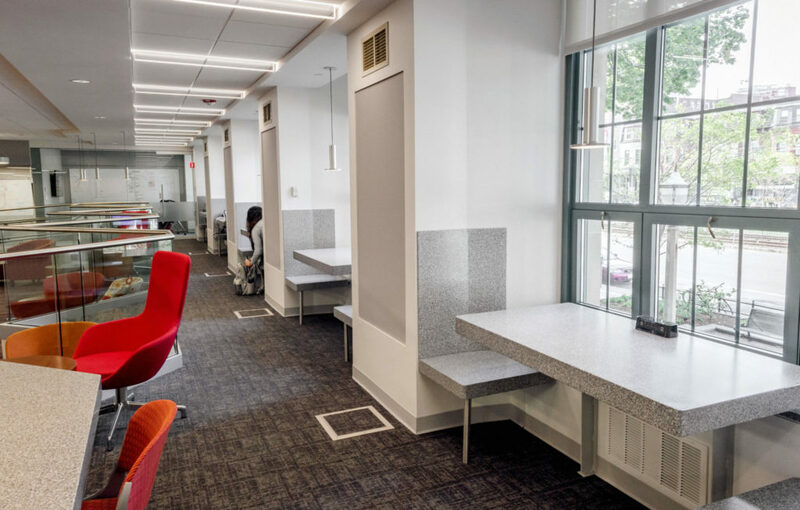 The space utilizes a raised floor area with standing counters and built-in study corrals along with huddle rooms and two large conference rooms. 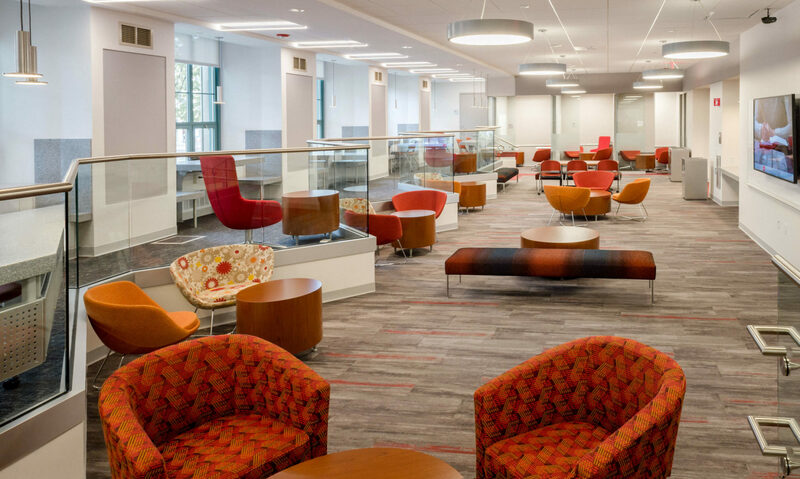 Project features include all new lighting, HVAC, and high end finishes.